New York: Senator Elizabeth Warren has tried to put a nagging controversy behind her by apologising privately to a leader of the Cherokee Nation for her decision to take a DNA test to prove her Native American ancestry last year, a move that had angered some tribal leaders and ignited a significant political backlash. But mixed reactions among prominent Native American critics on Friday suggested that Warren might have further to go. Some Native American leaders gave her credit for the apology, and political figures, for the most part, played down the issue. The private apology comes as Warren, a Massachusetts Democrat, is set to formally launch her presidential run next week after recent visits to early nominating states like Iowa, New Hampshire and South Carolina. It also comes after repeated calls for her to apologise from tribal leaders, political operatives and her own advisers, who said her October decision to take the DNA test gave undue credence to the controversial claim that race could be determined by blood — and politically, played into President Donald Trump’s hands. Trump has repeatedly mocked Warren for her decades-old claim of Native American ancestry, using slurs such as “Pocahontas” to dismiss her and recently saying she fell for his “Pocahontas trap.” However, when Warren hit back at Trump and released a DNA test to prove her ancestry, she angered members of the Native American community and left-leaning Democrats who believe cultural kinship and tribal sovereignty determine Native citizenship — not blood. On Thursday, Warren called Bill John Baker, principal chief of the Cherokee Nation, to apologise for the DNA test, said Julie Hubbard, a spokeswoman for the tribe. She called it a “brief and private” conversation. Warren’s campaign did not immediately respond to requests for comment. The apology, which was first reported by The Intercept, is a break from Warren’s previous public stance. 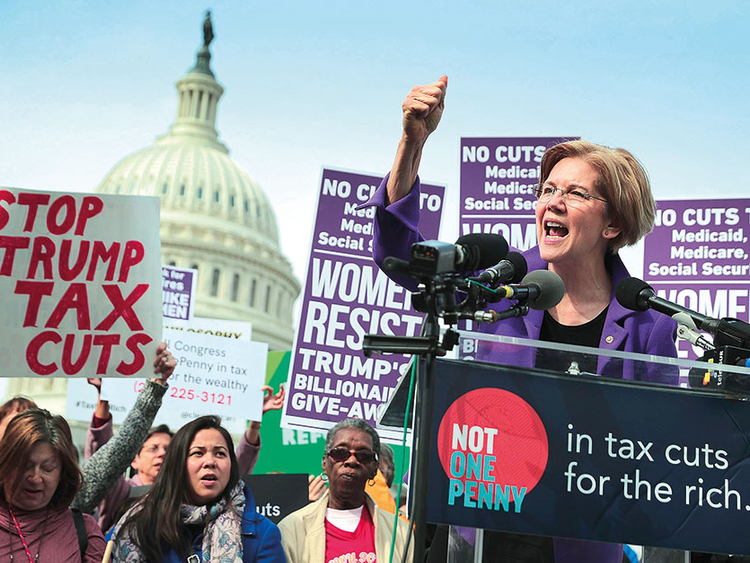 For months, Warren has refused to acknowledge or respond to her critics on the left, focusing instead on responding to Trump’s flurry of more openly divisive attacks, which have included language associated with racist stereotypes. Native American tribal leaders have repeatedly criticised Trump’s language against Warren and about Native Americans more generally, but he has yet to apologise or tone down his dismissive rhetoric. Advisers close to Warren said she has long expressed private concern that she may have damaged her relationships to Native American groups and her own standing with activists, particularly those who are racial minorities. However, as recently as December, Warren defended the decision to take a DNA test in an interview with The New York Times. Her reversal has now drawn intense reactions from critics and supporters across the ideological spectrum. The reaction was more muted among political operatives, both nationally and in key early voting states like Iowa. Dave Degner, the Democratic board chair in Tama County, Iowa, said the controversy has had minimal influence, and he has yet to hear any voters bring up the issue. Steve Drahozal, the chair of the Dubuque County Democrats in Iowa, said he was glad Warren admitted fault. Brian Fallon, former national press secretary for Hillary Clinton, said he hopes the apology means Warren can put the issue behind her. Warren’s test did not take into account that, for most Native Americans, culture and kinship create tribal membership — not blood, he said.